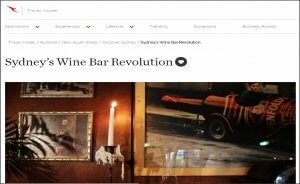 Thanks to Qantas Travel Insiders for the great list of Sydney Wine Bars. Have you been to all these? Great wines and great people in all these spots. Drop in for a Confit Duck Spring Roll with a glass of Pinot.